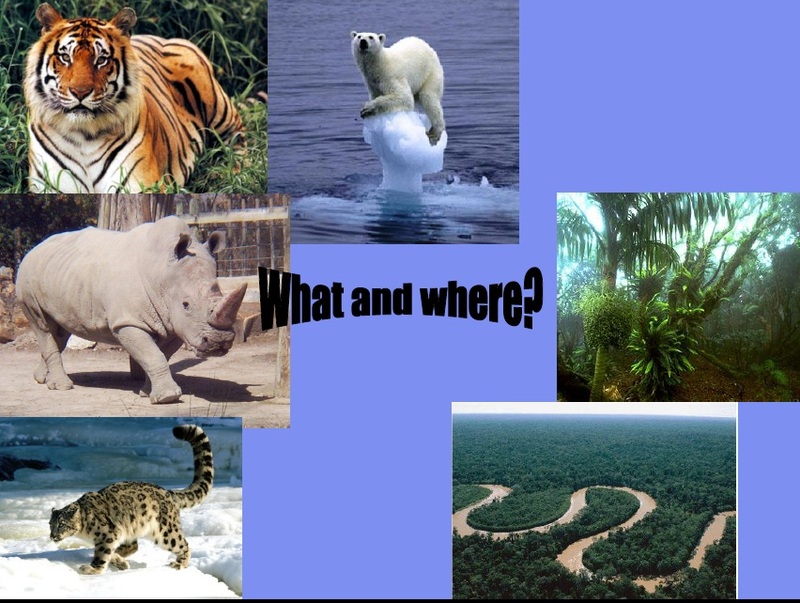 Mention conservation to most people and they immediately think of tropical rainforests, tigers, polar bears and elephants. But high profile so called “conservationists” are no different from the general public; for example, Robin Hanbury-Tenison whose dream job is Ranger in an African national park (Daily Telegraph, July 2nd 2009). His writings focus on South America and Africa, and his thoughts concern saving rhinos etc. The small essential organisms that run the world are beneath his ken. This focus on the large and charismatic organisms fostered by TV programmes is having a harmful effect on our children’s perception of nature; a future generation of conservation scientists are receiving a highly biased view of the world. 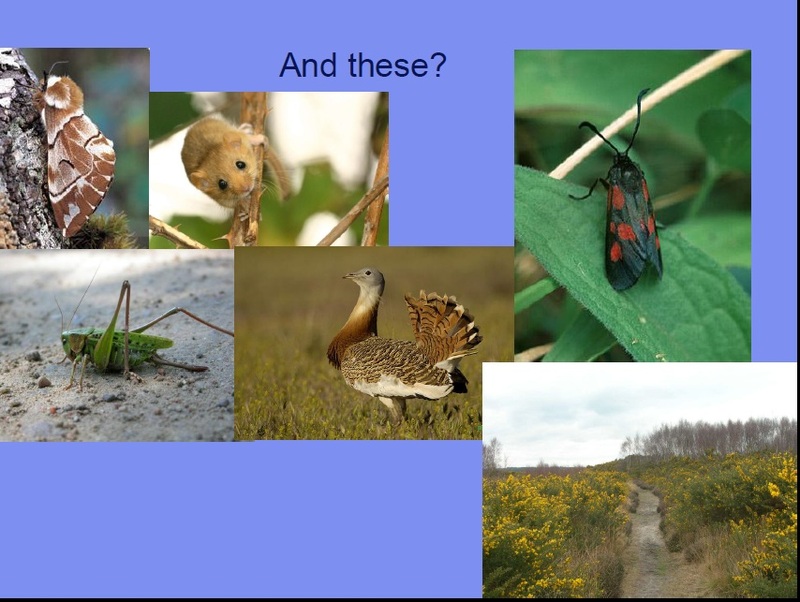 For example, when I talk to ‘A’ Level Biology students and show them the following slide, they are all able to answer the questions posed in the middle. animals and an internationally rare habitat, they fail dramatically, except sometimes one will guess the dormouse correctly. Funding bodies are no less biased (Leather, 2009). The Darwin Initiative, a UK Government fund for international nature conservation projects, has a less than enviable record when it comes to funding entomological research; since 2003 they have awarded 154 grants, 9 that specifically name invertebrates, but 50 that name vertebrates, and did not fund any invertebrate research in 2010, despite Darwin’s well known love of invertebrates, especially beetles, and his extensive research into barnacles, insect pollinators and earthworms. Nature conservation is also internationally biased, with less and less focus placed on the UK and an ever-increasing number of TV programmes about exotic mega-fauna. Large areas of the UK, such as towns and ex-industrial areas are often considered wastelands in terms of nature conservation but actually, may be rich in diversity. To remain this way, however, they need not only to be protected but also to be managed. 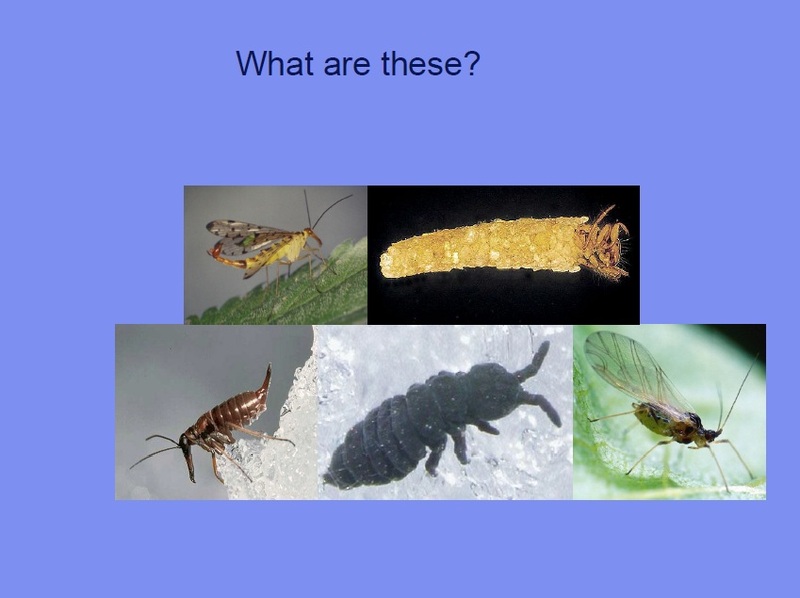 Why are insects important? Are they endangered? Most of the world’s animals are invertebrates: insects and allied invertebrates comprise approximately 78% of the world’s macro-biodiversity, whereas vertebrates, even using the most generous estimates, make up less than 3% (Clark & May, 2002). Invertebrates have more species than all other groups put together and are an important food source for other, more popular, animals. They also carry out vital roles for us, including cleaning our air and soil, breaking down decaying material and pollination. If these groups are not looked after and protected from extinction then not only will the favoured charismatic animals not continue but we are at risk also! About 250 species of beetle have not been seen in the UK for 35 years, bees are in decline, and we have no idea if earthworm and Collembolan populations are coping with modern, intensive agriculture. Only a tiny amount of money gets channelled into nature conservation, and only a minute fraction of this then finds its way into conserving invertebrates, the majority is siphoned off to conserve the much smaller numbers of the furry, feathery and flowery. As a result, whilst we have detailed lists of the endangered vertebrates worldwide, we don’t even know how many invertebrates there are, let alone if they are endangered or not. As Papworth et al. (2009) point out, how can we expect people to care about the environment and conserve it, if they do not perceive it in its entirety? The only places suitable for nature are considered to be untouched areas in the open countryside. While these areas are protected, local nature reserves or patches of green space are discarded and become more and more fragmented and degraded in quality. The biodiversity of urban gardens has been intensively researched in previous studies in Sheffield (the BUGS project) demonstrating surprisingly high invertebrate diversity (Smith et al., 2006) as have the roundabouts of Bracknell (Helden & Leather, 2004; Helden et al., 2012). Some focus should be shifted to these sorts of sites and not just the isolated big patches, and this will allow us to support the greatest amount of habitat for British wildlife. Regardless of what exotic animal you hear about as being greatly endangered, try to look a bit closer to home and down by your feet. You’re more likely to encounter something there which would actually make a difference if you cared about it and protected it. And for those contemplating conservation gap years overseas, why not save money and make a difference at home. It might not be as exotic, but your efforts will be just as valuable. Clark, J.A. and May, R.M. (2002) Taxonomic bias in conservation research. Science 297, 191–192. Although this article is written from an entirely UK-centric viewpoint, I would be very much surprised if what I have described is confined to the British Isles. The UK Government commemorates Darwin with the ‘Darwin Initiative’ a fund for international nature conservation. But the little animals he loved are not well catered for. In 2009 only one project specifically relating to invertebrates was included in the 74 projects short-listed by the ‘Darwin Initiative’.